Posted on September 13, 2018. Subscribe to our blog by email. 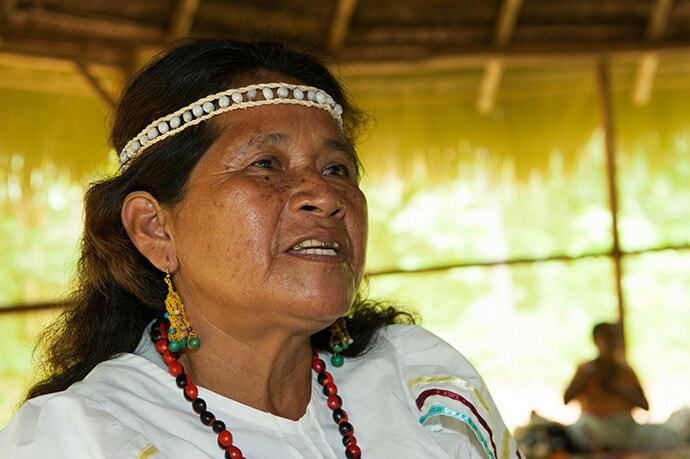 Ema Tapullima, the leader of the Amazon village Puerto Prado in Peru, wants future generations to be able to benefit from the native medicinal plants and animals in the rainforest that she grew up with. Rule of law is the cornerstone of society. Though it’s not recognized, understood or appreciated enough, according to the World Justice Project, it is essential for development and human rights. Bill Neukom, Microsoft’s first general counsel, was the president of the American Bar Association when he founded the World Justice Project in 2006. It began as a presidential initiative and evolved after his tenure into the independent nonprofit it is today, with offices in Washington, D.C., Seattle, Singapore and Mexico City.